Famous landmarks in Beijing are the Forbidden City, Hall of Supreme Harmony, Yuyuantan Park and the CCTV Tower. Other popular Beijing attractions include Beihai Park, Arrow Tower, Wangfujing Street and the Underground City. 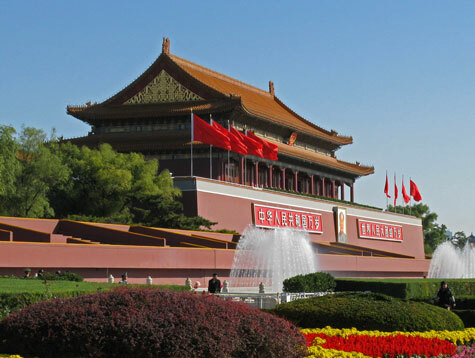 Historic buildings on Tiananmen Square are the Great Hall of the People, Mao's Mausoleum and the Gate of Heavenly Peace. Popular Museums in Beijing are the National Museum of China, Military Museum and the National Art Museum. Hotel accommodation can be found in Beijing's city centre, near the Beijing Airport and in outlying districts. In addition to having an ultramodern international airport, Beijing has a modern and inexpensive metro system.